8. Worker Classifications – There are several incentives for employers to classify workers as independent contractors instead of employees. Mainly, an employer isn’t responsible for payroll taxes or fringe benefits for outside contractors. This has been an on-going issue for decades, but now the IRS intends to tighten up compliance of the rules. 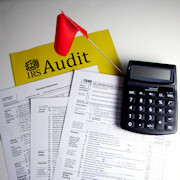 via Who Are the Latest IRS Audit Targets? –.